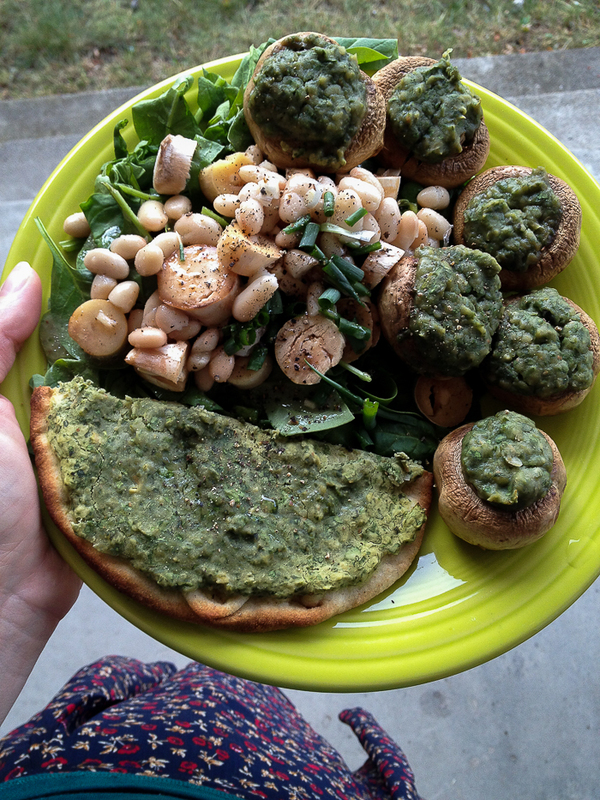 This may be old hat to some, but I learned a tip for stuffed mushrooms recently that just changes the game. Imagine these little unbridled buggers rolling all around a cookie sheet or cake pan. No more I tell you. 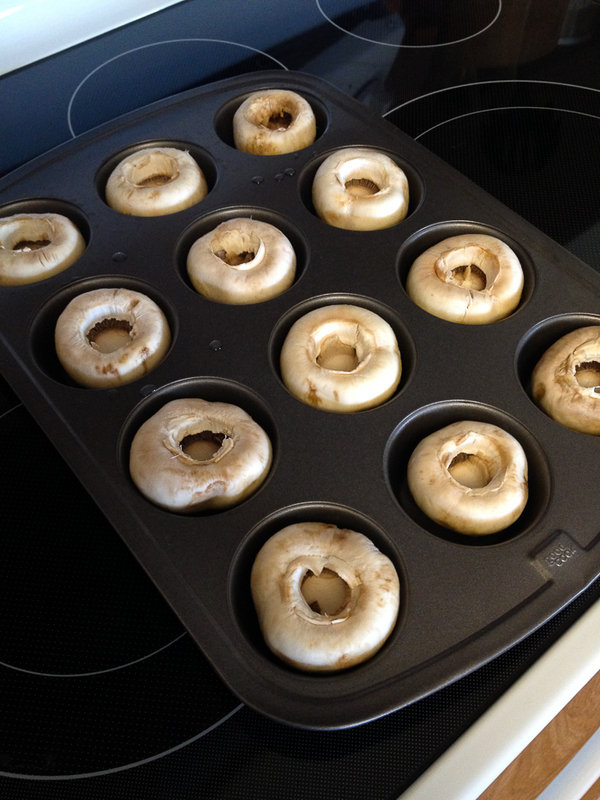 After I de-stemmed the mushrooms, I sprayed a little cooking spray in a muffin tin and popped the mushrooms in (see above). Just like that they are ready to stuff. I stuffed mine with a little pesto hummus and off to the oven it was.